Photo Jennifer J. Selby, P.E. Delaware Department of Transportation officials will be installing these bike lane/rumble strips Route 1 between Dewey Beach and the Maryland state line. 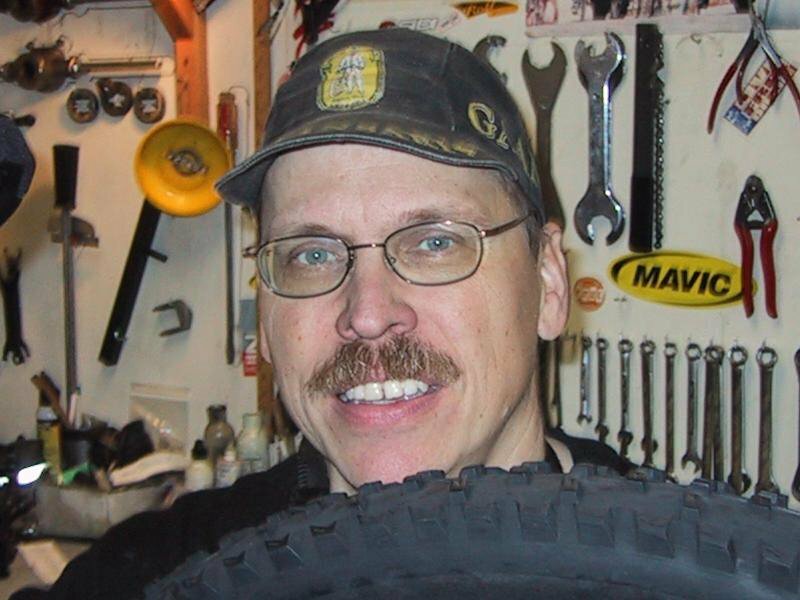 A high profile fatality of a cyclist killed by dozing driver last year along with 8 other bicyclists struck by cars in the bike lane. 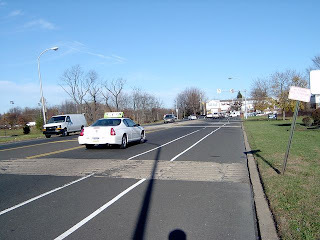 Key features of this type of facility is the gap in the strip to allow bicycle movement out of the lane, the divots are shallower and there is a white stripe on both sides of the rumble strip. This may improve the bicyclists comfort on wide shouldered high speed arterials such as US 206 in NJ, Academy Rd in NE Philly or US 322 in Chester County. Now the winner of the worst rumble strip in the region - Decatur Rd just south of Comly Rd near the Northeast Philadelphia Airport. A bike lane goes through a deeply grooved rumble strip. you can see some examples of some even better rumble strips (and some bad ones as well). The really good ones embed the rumble strip in white stripe itself.